Arucas is a town and area filled with history. Originally, Gran Canaria was divided into 10 “kingdoms”, Arucas being one of them. The ancient inhabitants farmed the land, living as shepherds or growing wheat and barley, and living in the surrounding hills in caves. To this day, many of these caves still exist and several are still inhabited, though modernized a little to include all the comforts expected from a modern-day house. While being on the island, you cannot miss visiting the best rum factory in Spain! The rum here was produced even earlier than the sugar-cane in Cuba. 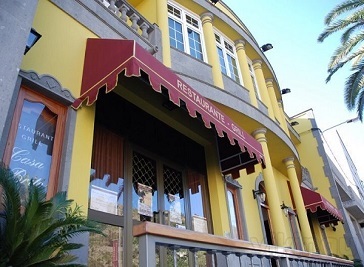 Established in the late XIXth century, the factory produces various types of rums and liquors. From the very beginning it has achieved many awards and recognition all over the world. The coast of Arucas is the place where visitors will get the chance to sample most of the good food to be found here. In the areas of El Puertillo or Quintanilla and San Andres, you can try the fresh fish and seafood. 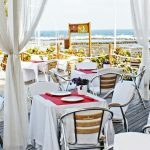 There are several restaurants in Firgas that are well known by almost all the inhabitants of Gran Canaria, where you can find platters of grilled beef, roast chicken and try chorizos and morcillas. The cuisine typical of Moya guarantees all its visitors a variety of dishes which, according to the particular area, include meat or fish as the main ingredient. There are several restaurants and bars in the old town, which maintains its Spanish feel, as the newer part of the town is in a distance away on the other side of a busy road. Galdar seats of the ancient Guanche rulers and was the first capital of Gran Canaria prior to Las Palmas, fresh fish dishes and cheese is one of the tastiest morsels visitors can try. Agaete can proudly boast of being the only place to cultivate coffee in Europe, with a tradition that goes back to the 19th century, with one of the scarcest and most ancient beans in the world,the Coffea arabica. A restaurant with a rustic ambience, where the high standard of cooking will come as a pleasant surprise for guests. The focus is on a traditional menu specialising in grilled meats with a varied provenance, including Germany, Uruguay, Galicia, Asturias, Castilla etc.